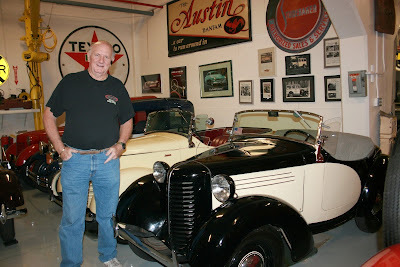 Automobile collector Al Engel, Pt. 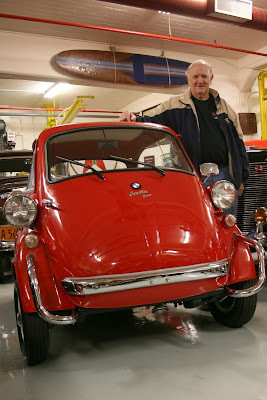 Richmond, CA, will show a number of rare Austin and American Bantam microcars (left) and his 1957 Isetta microcar (right) from his extensive collection of domestic and European motor cars at the Marin Sonoma Concours d’Elegance, to be held Sunday, May 15, 2011, at the Marin County Civic Center Fairgrounds in San Rafael, CA. A rare showing of historic American Bantam coupes, sedans and Speedsters made in the ‘30s and early ‘40s, will be included among more than 175 elegant, classic motor cars on view in the 3rd Annual Marin Sonoma Councours d’Elegance, Sunday, May 15, 2011, at the Marin County Civic Center Fairgrounds in San Rafael, CA. The Bantam contingent of early microcars is from the large motoring collection of enthusiast and historian Al Engel, Pt. Richmond, CA. Among Bantams on display is an extremely rare 1941 Boulevard Delivery. Built first in Butler, PA, as American Austins under license from Britain’s Sir Herbert Austin, the small vehicles – which were powered by a 15-hp four cylinder sidevalve engine – became American Bantams in 1935. Ironically, the company delivered the first specified working Jeep for Army review in 1940, but could not meet the government’s high quantity production qualifications. Engel will also show his pristine red 1957 Isetta 300 two-seater pod car, a precursor to today’s expanding world microcar market. A San Francisco native, Engel, 67, was a car enthusiast in his youth but didn’t seriously begin collecting and showing classic motor cars until 1987 when he purchased an AC Cobra replica. An operating engineer by trade, he managed his father’s large machine shop and ship repair operations in San Francisco – and concurrently began buying, selling and trading all manner of domestic and foreign cars, American hot rods, vintage race cars (everything from midgets to sprint cars), memorabilia and early auto-related esoterica—including an extensive collection of very rare 1930s Hohn German driver education cutaway vehicles, each replete with intricate, miniaturized working engine, transmission and driveline systems. The Engel collection also includes steam engines, boats, motorcycles and airplanes. Rolls Royce is the featured marque at the Marin motoring event. Among early confirmations for Rolls Royce display is an opulent 1925 Phantom I open Torpedo Tourer built as a hunting car for India Maharaja Bhupinder Singh. The vehicle is owned by Rubin and Arlene Jurman of Los Gatos, CA. 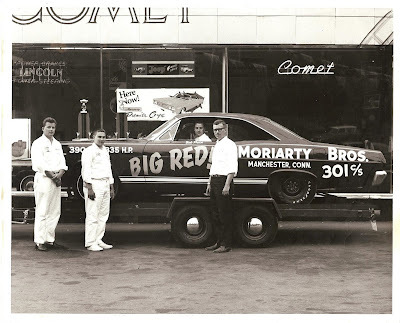 Concours organizers will field a collection of Indianapolis 500 race and pace cars to celebrate a century of competition at the famed Brickyard – and will mark another centennial milestone with a decade-by-decade showing of Chevrolet motor vehicles. Vintage trailers, classic wooden runabouts (moored in the lagoon) and a special British car club gathering are among other features. The Marin Sonoma Concours d’Elegance is a non-profit fundraiser to benefit Hospice by the Bay and will also include “The Drive,” a separate motoring event on Saturday, May 14, 2011 – another Hospice benefit. 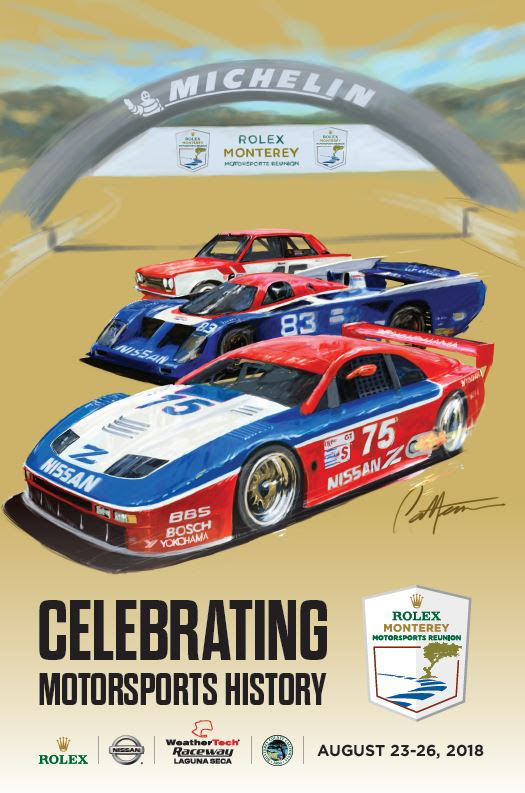 For information, phone (415)479-7727 or view the event website, www.marinsonomaconcours.org. I once have a vintage trailer in my collection and I gave it to the charity in last year. Thanks for sharing.